For your invitation to attend all webinars for free, sign up here. There’s a huge demand for mentoring but we can’t leave the quality of mentoring to chance, hoping mentors do it well. 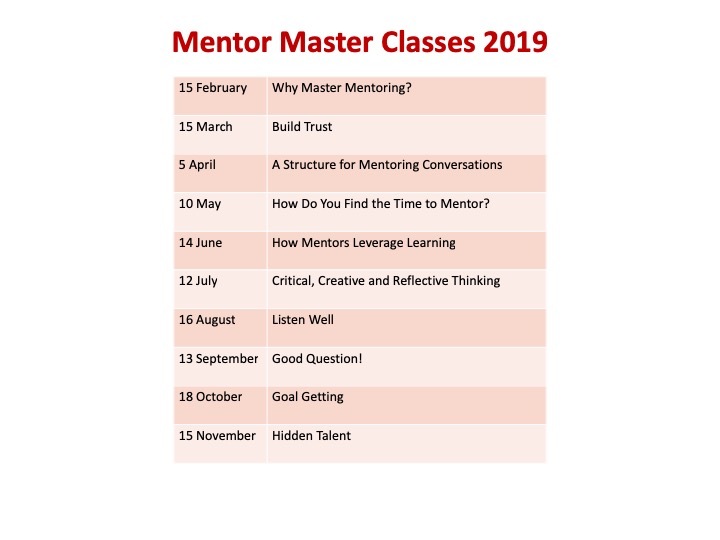 Our 2019 Master Class series will help build the advanced skills and knowledgeto build mastery in mentoring. Webinars run for up to one hour, starting at 10am Australian Eastern Standard Time (Sydney). Please Note: here in Australia we are up to 14 hours ahead of many parts of the world. In America, Canada and Europe it will be the day before those listed here. To check your local time, click “show in my time zone” on the registration page. They are interactive and I’ll respond to your questions on the topic. You can attend the live webinar for free. Hot topics that make an impact on work, relationships and life. Register 10 May How Do You Find the Time to Mentor? Tips to make more time available – without working longer! Register 13 Sept Good Question! I’ve been helping organizations design and implement mentoring programs since 1994. 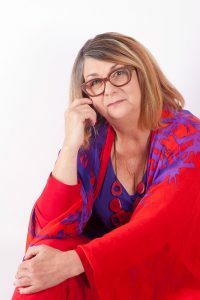 I have worked with mentors and those who are mentored in Australia and overseas. I have reviewed many mentoring programs and seen what works and what doesn’t. Sign up here and you’ll receive notification of our free webinars, a free ebook Mentoring Demystified and informative articles in our newsletter. Customised Webinars We offer customised webinars on mentoring topics of your choice, at a time that suits you, no matter where you are. It’s like an in-house training without people leaving the workplace and with a recording available 24/7. Email: ann@mentoring-works.com or phone +61 2 6566 6823 for details and cost. Subscribe to our newsletter to receive notification of future webinars, free ebook Mentoring Demystified and informative articles in our newsletter.